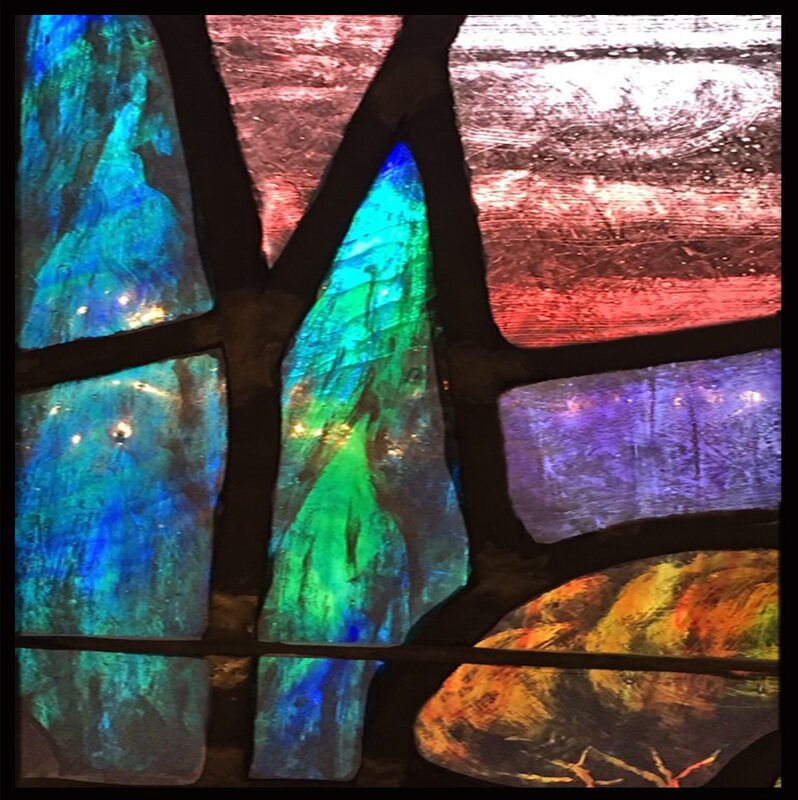 The Campbell UCC has been called “The church of the lighted window” due to the wonderful stained glass at the front of the building, and along the clerestory windows in the sanctuary. The Campbell UCC (Congregational Church of Campbell) was founded in 1889. The first Pastor was Reverend William Windsor, DO. who served the church until his death in 1908. The original church was located on Central Avenue, where the Campbell City Hall is now. A new church replaced the original structure at that location in 1922. The feature of that wooden church was the magnificent stained glass window, “The Good Shepherd” dedicated to Pastor Windsor. The artist who created that window is unknown. The present church on Campbell Avenue was built in 1955. It was designed by architect Gifford Sobey of Los Gatos,. and was constructed by E. A. Hathaway Co. The “Good Shepherd” window was moved to the new church. 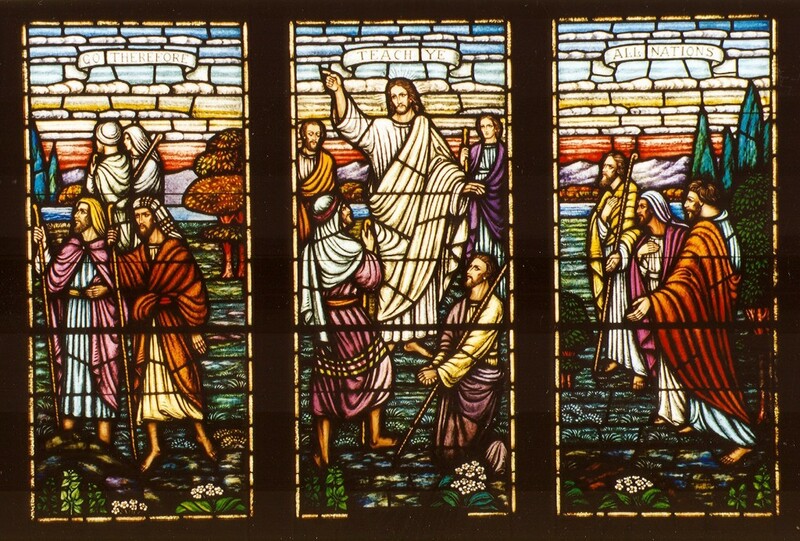 Carl Huneke, Century Stained Glass Studio, San Francisco, created the window “Go Therefore and Teach All Nations” window in the narthex of the new church. 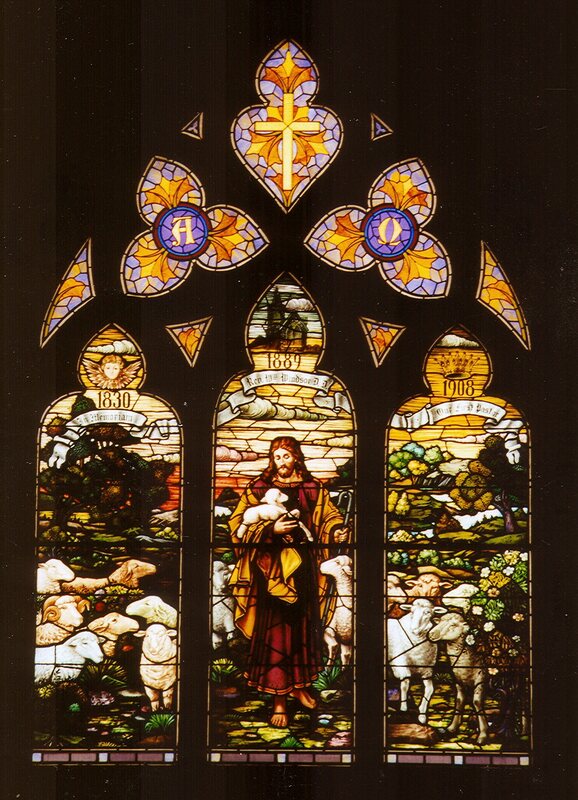 The design complemented that of the “Good Shepherd” window. Hogan Stained Glass Studios between 1980 and 1984.